At long last modern medicine is recognizing more and more that talking about stress reduction is of major significance to improving your health. Our lifestyles have a lot to do with stress as the video here reveals. What are some of these highly stressful situations? Stress is selling your soul for a paycheck. Stress is a pessimistic world view. Stress is fearful, anxious, worried thoughts. Stress is knowing that you have a song within you that has yet to be sung. Stress is feeling out of touch with your life’s purpose. Stress is negative beliefs about your health. Stress if feeling like nobody is really gets the real you. Stress is pretending to be something that you are not. Stress is being disconnected from Source. The antidote to stress is knowing how to bring the positives into your life instead. Helping you do this is what Peaceful Self Retreats is all about. Here are the above statements put into the positive solutions and how Peaceful Self Retreats helps you achieve these. Freedom from stress is about connection and support. Our Self Care Retreat helps you attract a Circle of Support to you and our Real Love Retreat helps you discover more about what love is so you can bring it to you. Freedom from stress is doing what you love and being rewarded for it. Our Visioning Retreat helps you accomplish this. Freedom from stress is having a positive and proactive world view. 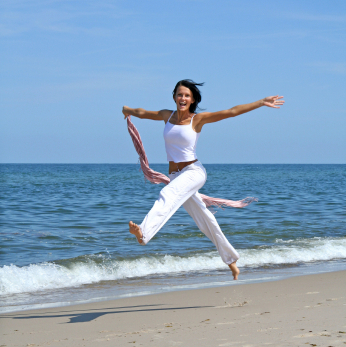 Our Emotional Healing Retreat helps you reset negativity and feel good about life again. Freedom from stress coping with emotions in a healthy way so you can generate healthier thoughts. Again our Emotional Healing Retreat helps you shift anxiety, sorrow, anger and other negative emotions so you can access more positive and life affirming beliefs and thoughts. Freedom from stress comes from having lots of loving relationships. Our Self Care Retreat helps you set boundaries on toxic relationships so you can break free from them. Our Real Love Retreat helps you repair broken relationships, discover what it takes to have truly loving relationships, and teaches you to love yourself enough so that you can attract loving relationships into your life. Freedom from stress is having enough for your needs and not your greeds. Our Prosperity Retreat, which is at this time a subset of our Visioning Retreat, helps you understand what is blocking you from financial abundance and teaches you how to use money wisely so you can attract more. Freedom from stress is knowing how to express your creativity. Our Creativity Retreat, which is at this time a subset of our Visioning Retreat, helps you understand what is blocking your creativity so you can overcome this and express your creativity more freely. Freedom from stress is knowing and expressing your life purpose. Our Visioning Retreat is especially helpful for this. Freedom from stress is knowing how to better care for your health. Our Revitalization Retreat is designed to look at how you may be depleting yourself on all levels: Spiritually, mentally, emotionally, and physically. Freedom from stress is managing overwhelm and turning it into a state of calm. Our Relaxation Retreat is perfect to help you accomplish this. Freedom from stress is knowing how to help others see and support the Real You! Our Self Care Retreat is especially good at helping you be more authentic with others so you can be the Real You! Freedom from stress is having the courage to be who you are. Our Self Care Retreat helps you overcome the fears and anxieties that lead to trying to please others too much at your own expense. It teaches you to have the courage to be you and in doing so to attract more positive and helpful people to you. Freedom from stress is staying connected to Source. Our Spiritual Reconnection Retreat and Peaceful Self Process both are specially designed to plug you back into Source revealing how you can strengthen that connection so it remains in place 24/7. In short, Peaceful Self Retreats offer the perfect antidotes to stress! We invite you to take one with us and move yourself increasingly onto the path of better spiritual, mental, emotional, and physical health!